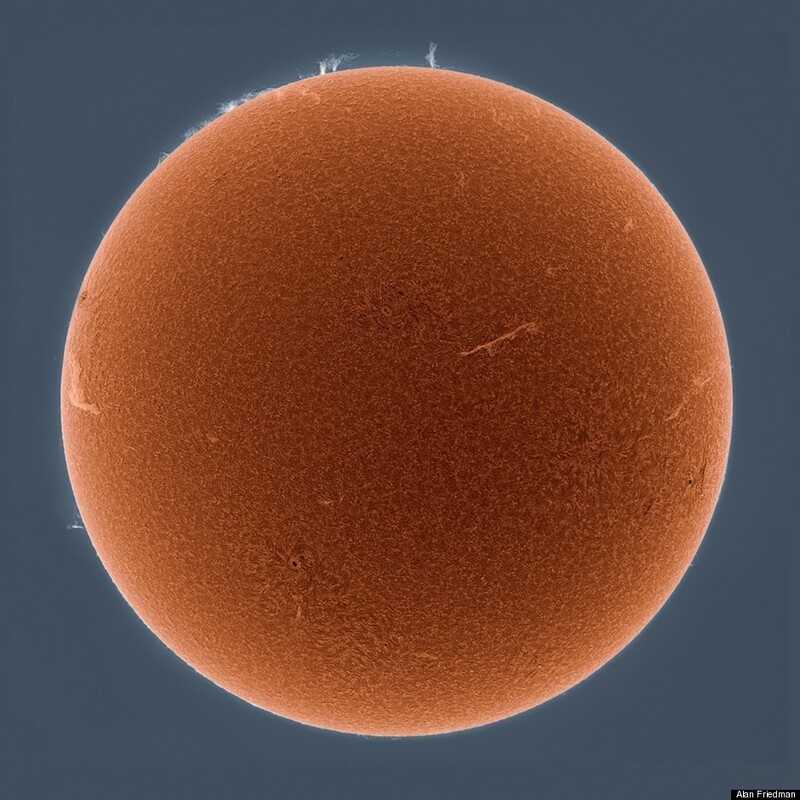 The images below might look like a swirling sea of fire, but what's shown is actually light from the chromosphere, a thin layer that sits between the photosphere and the corona, the the sun's outermost layer. 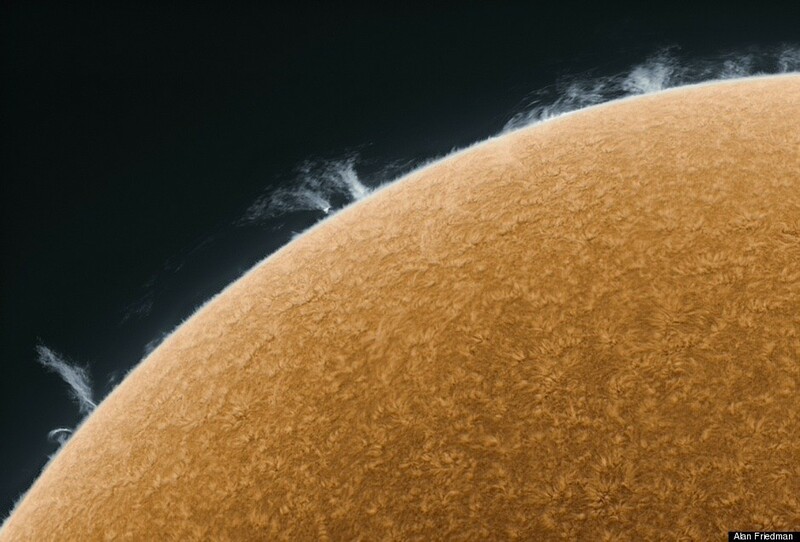 The dark spots that are visible in Friedman's photos are sunspots, and the emissions visible around the edge of the sun are solar prominences. 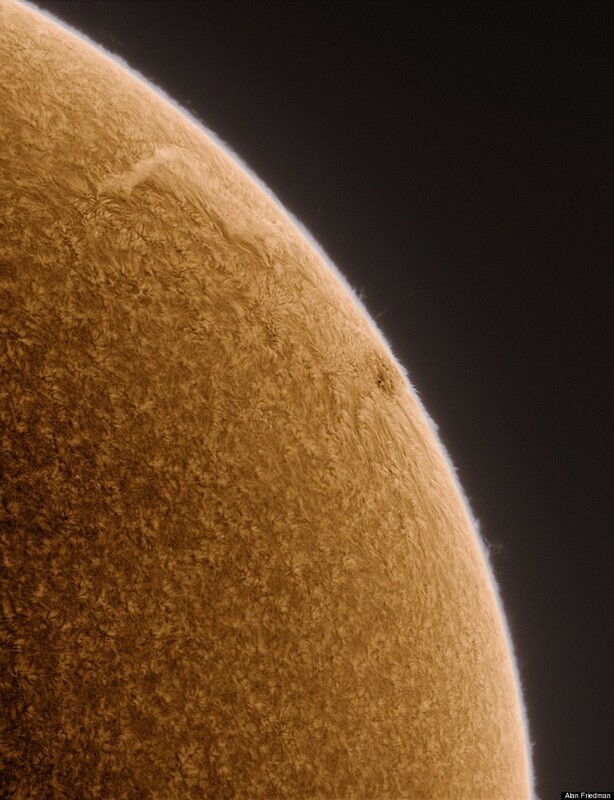 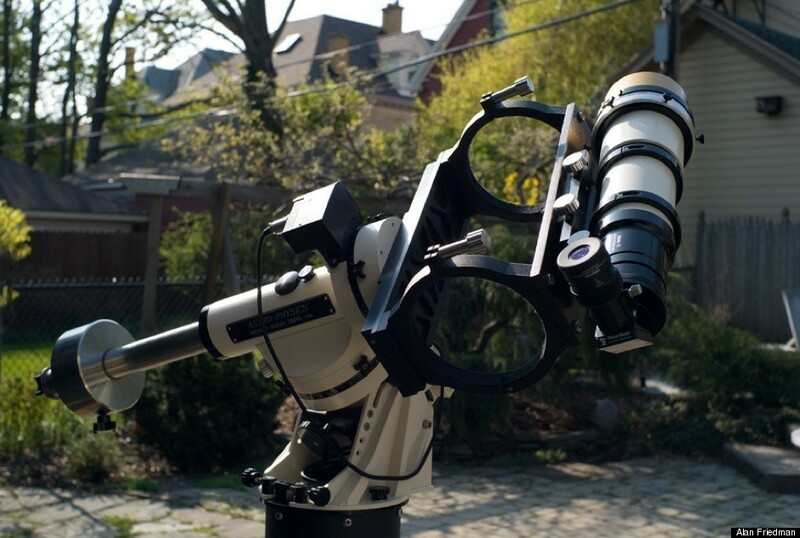 View the images (below) for a close look at the solar action.